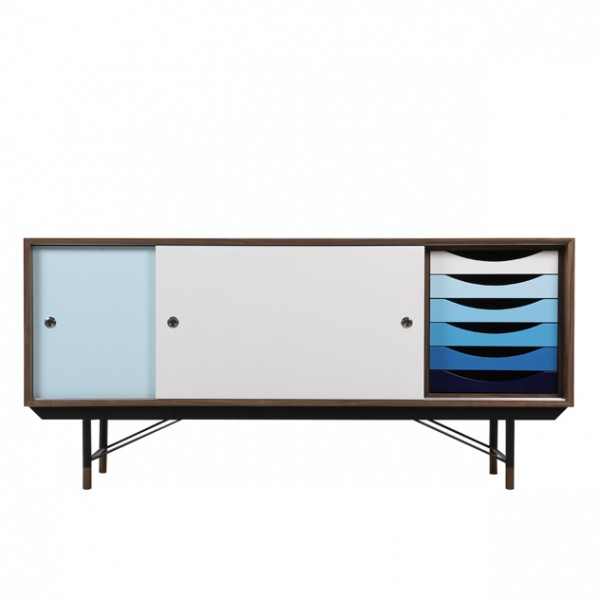 The Kaufmann sideboard is an inspired and super stylish piece of furniture that really captures that unmissable Mid Century Scandinavian style. 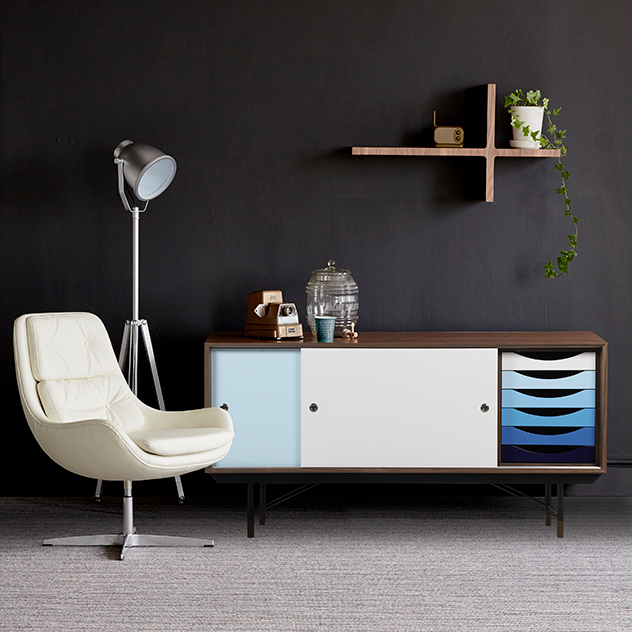 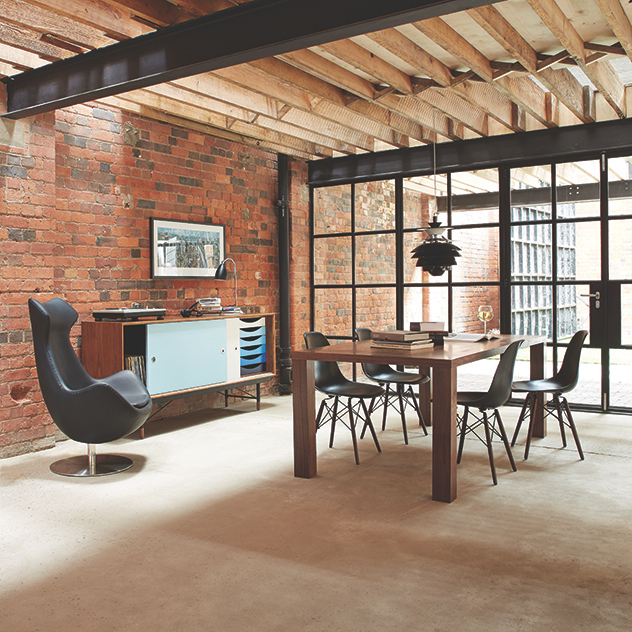 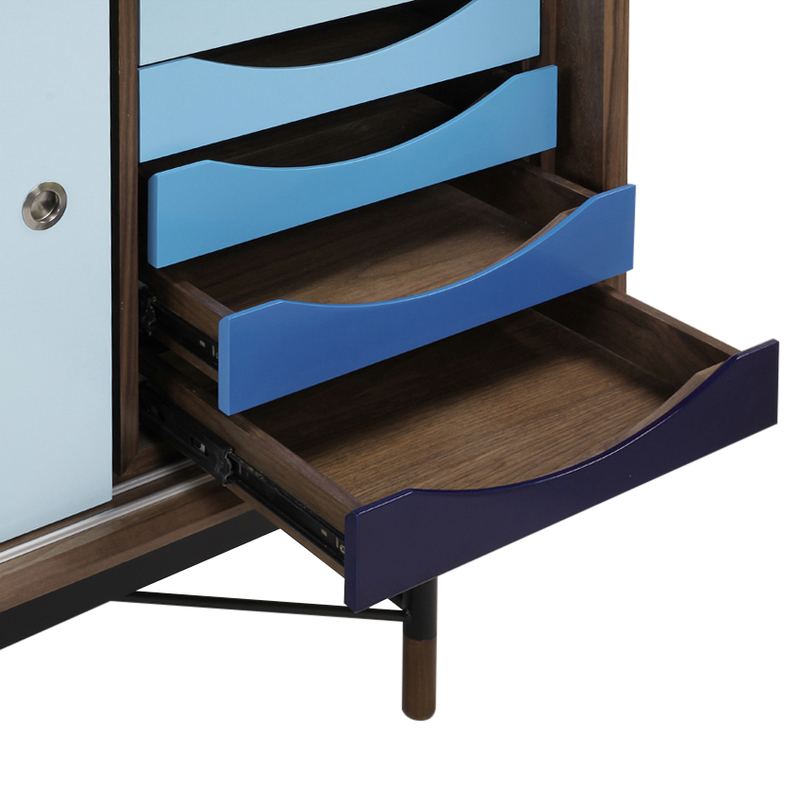 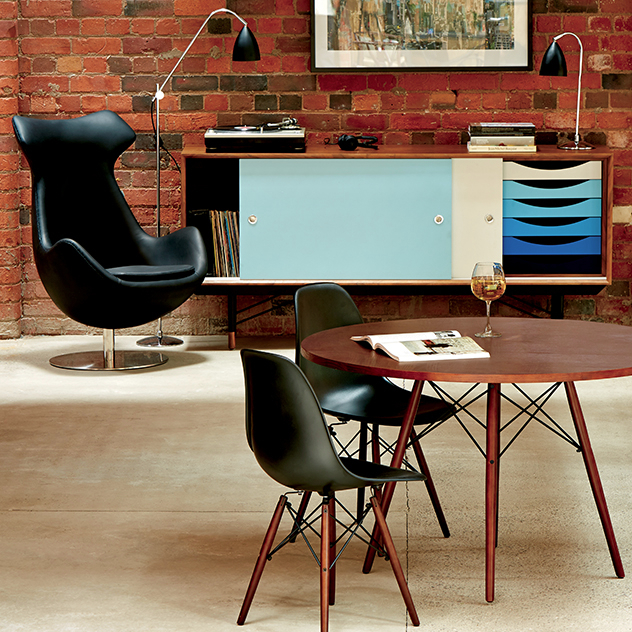 The beautiful shades of the contrasting blue draws against the solid Walnut carcass and powder coated black steel frame make this a really modern and contemporary piece, suitable for a wide variety of homes. 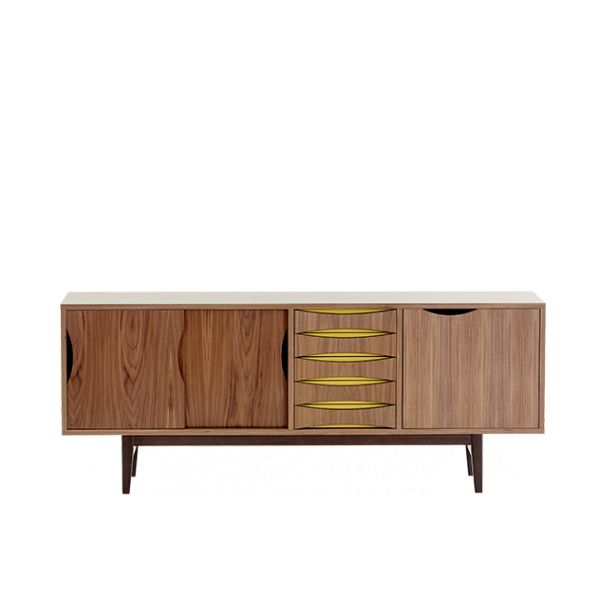 This is supplied fully assembled and ready to go.